What’s better than one Shadowhunters casting announcement? How about two? 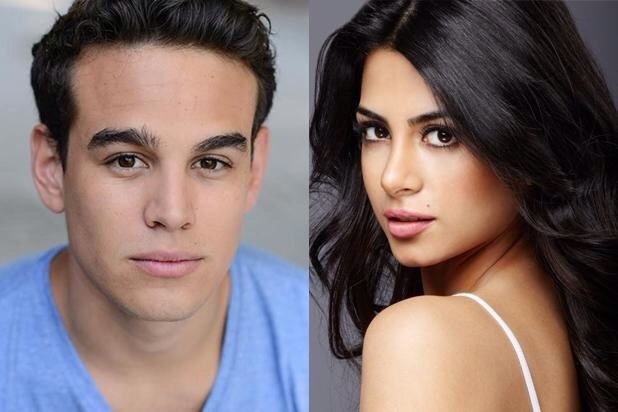 Alberto Rosende has been cast as Simon Lewis and Emeraude Toubia has been cast as Isabelle Lightwood in the television adaptation of Cassandra Clare’s worldwide bestselling Mortal Instruments series, ABC Family announced on Friday. 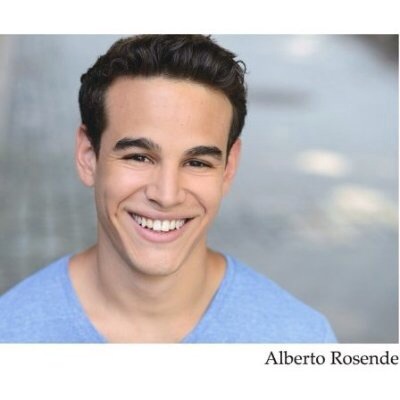 Rosende and Taubia join Dominic Sherwood (Jace) in the cast of the highly-anticipated television series. Shadowhunters begins production next month in Toronto and will premiere in early 2016 on ABC Family. Based on the bestselling young adult fantasy book series The Mortal Instruments by Cassandra Clare, “Shadowhunters” follows 18–year-old Clary Fray, who finds out on her birthday that she is not who she thinks she is but rather comes from a long line of Shadowhunters – human-angel hybrids who hunt down demons. When her mother Jocelyn is kidnapped, Clary is thrown into the world of demon hunting with mysterious Shadowhunter Jace and her best friend, Simon. Now living among faeries, warlocks, vampires and werewolves, Clary begins a journey of self-discovery as she learns more about her past and what her future may hold. What do you think about the casting news? Keep comments respectful. All hateful comments will be deleted. I think they chose Simon perfectly! And Isabelle is quite close as well – both in looks and the soul, clearly visible in her eyes. 🙂 All in all, good choices! they want to build the suspense..best for last kind of thing. I like the choices I’m exited fir the rest of the cast! That’s exactly what I mean about Simon !! How do you know? And do you know more about her? She was crown in a Latin reality show called Nuestra belleza latina. Now she’s an actress and has interviewed Hispanic celebrities. She was not born in mexico but here in the US. So if people are concern about accent she doesn’t have one. Am I the only one who’s not happy with Simon, dont get me wrong Isabelle was a good choice ( but isn’t she described as pail, but I want Robert Sheehan !! The amount of people that said they wanted him, and they don’t get anyone even close to him !! I think I just need to see him in action as Simon before I decide if I’m totally not happy !! I like her description too. Although I don´t think of her “preference” for bad boys as a weakness, I mean, she chooses them because she doesn´t really want a long-term relationship and somehow to piss off her parents (partly to divert the attention from Alec´s sexuality as Simon puts it in CoG). She doesn´t have a thing for bad boys because – bad boys! But because they don´t usually stay around for too long and so she knows what she gets and she can stop her heart from being broken. At least that´s how I see it. The only reason I ever got into TMI was because I saw Robert Sheehan had been cast as Simon and I needed to check it out. He is one of my absolute favorite actors. BUT I knew he would never do the tv show so I wasn’t even expecting that. Alberto looks the part and I’m sure he’ll be great! Emeraude is stunning. They’ve done great with casting so far. not at all what I had in mind, and I’m not sure I like the casting, but maybe they can convince me with their acting skills, since that is more important in the end. At first I was sad because I really like the movie cast and hope they were going to be in the TV series I think the choices they have made so far are brilliant and that they will be amazing in the show. I just hope I can get it because I don’t have a ABC family. They both look great but I think the actress they chose for izzy is to Latina :l I didn’t picture her like that she also has sort of an accent and from what I saw has only been in Spanish shows . I’m not being racist I’m Latina myself . Does anyone else see this ? Seriously, just because she is “Latina” she must have an accent!! I am Latina, born and raised in the USA, I never have and never will speak Spanish. No accent here. Let’s not be so closed minded. I think they should give a call to the guy who played Lucifer on Supernatural. He would make the perfect Valentine. They are both not what I expected. I’m not quite convinced that he is the right choice for Simon, but I’m open and very hopeful that he will do a great Job. I didn’t expect Isabelle to be latin, but I like it very much (because I’m latin too :)). I just hope they cast Alec and their parents also latin or latin-like, because otherwise it would be very weird, if you have a latin girl and white parents or a brother who doesn’t look anything like his sister. But I like Isabelle, I love that they try to do make it a bit mor ethnic. Keep it that way! Yeah I imagine it would be tricky for them to get the whole family looking latino now- or at least Alec and one parent. Cassie has said that Dom will do an American accent. Emeraude totally reminds me of Adelaide Kane in some photos!! Anyone feel me? Izzy looks amazing(as always) but Simon is not captured. Simon might work, but he is not what I imagined. It will work in the end. The girl for Isabelle seems to be a good choice 😉 But I’m not convinced at all by the guy for Simon…I guess we must wait and see !